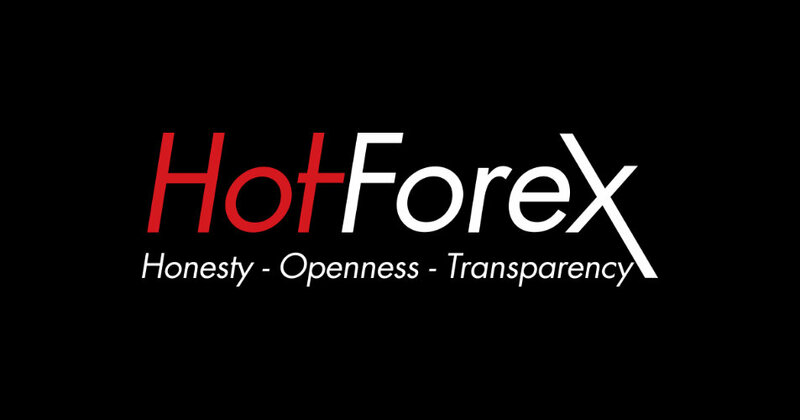 HotForex.com may be one of the best in the Forex industry for giving their clients what they want. The company has gained 14 prestigious industry awards over the past 7 years since broad-based global customers are attracted with its multiple language capabilities. Many Forex brokerage claim to be “customer responsive,” the venus flytrap of all advertisement, but these firms end up professing more than they deliver. The firm’s offerings and features are bristling with new additions, that are tailored to suit specific segments of the global community of traders. If you feel a disconnect with your current broker and think you may be in a disadvantaged trading environment, HotForex (also known as HF Markets Ltd) may be the firm for you. 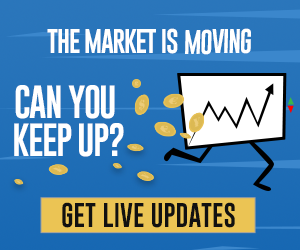 If you prefer binary options, then they can fill that need as well. Unfortunately, it is unavailable to any interested traders in the U.S.
Why Trade with Hot Forex? Ability to trade traditional Forex pairs or binary options, but you can also dabble in CFDs for stocks, commodities, and indices. Comply with their dual-regulatory regime. The Financial Services Commission (FSC) handles compliance in Mauritius, while CySEC regulations apply to its Cyprus operating center. Many bonuses and award programs provided for various skill levels. Micro accounts begin at $5 only. Specialized accounts are also offered, which allow users to access zero-spread trading accounts and new social trading. Micro accounts begin at $5 only. Specialized accounts are also offered, which allow users to access zero-spread trading accounts and new social trading. HotForex is a Straight-Through-Processor (STP) wherein liquidity providers are aligned to give accommodation to a large range of traders, including automated traders and scalpers. Compatible with MetaTrader4 platform series, or different customized operating systems applicable for web-based and mobile action. Support materials are abundant and excellent, and customer service is the top-of-the-line. Moreover, the firm’s byline focuses on Honesty, Openness and Transparency” makes it a hot combination from a hot Forex broker. Why trade at Hot Forex? For Micro, Premium, and VIP, leverage conditions are respectively 1000:1, 400:1 and 300:1. HotForex is based on a robust system, thus little to no problems may be encountered when accessing the platform. There are also varieties of options that HotForex supplies to access its platform. Downloads are available if you want MT4 software, but if your operating system balks, or you prefer a web-based solution or mobile app, then look no further because it has it all. HotForex has state-of-the-art customized software solutions. Each solution aims to make your trading experience an enjoyable one from the get go. Mobile access is a snap and is available any time of day; via any Internet-capable device, whether a phone, a tablet, or a laptop. The latest in 256-bit SSL technology also encrypts all personal and trading session data for security purposes. A Review of Hot Forex Trading Brokerage. excellent work, and services are top notch. forex trading made easier and more convenient, by far on of the best in the industry and i am very pleased with how things turned out to be. Just trading for last couple of months so far on a micro account and have only been able to withdraw once. Trading is quite easier through MT4 and bit complicated on mobile which i am thinking shifting to computer full time. Leverage is quite normal and the spreads too. I expect the same service level from them in future as well. the broker is legit. I had some trouble with documents asked, and gov ID but they helped me clear the misunderstanding, my account now is verified and I do not have any issues, and withdrawal are fast. really fast I am pleased. Doing trades with them for the past two years and since there are no complaints which can be reported against them. All i can say is that they have improved a lot since i have been trading with these guys. They have reasonable trading pairs with stable execution and the spreads are also not that high comparing to other brokers. Have been trading with this broker for 2 years and encountered several issues but all them were resolved quickly, just call them for swift support. EA is supported and also withdrew many times (my previous broker erased all my profit because of I violated the policy = using EAs, scam broker). You can also deposit and withdraw = Bitcoin. Highly recommend this broker! just made my first withdrawal processed with ease, i was anxious at first but I think i can be at ease, the over all trading is really good. platform is pretty stable with good response time. good variety of pairs to choose from and they do offer crypto too. I have been trading with these guys for the last two years and since I have no problems at all. The customer services really show interests in well-being and usually sort up the entire matters. The withdrawals and deposits are instant, I use skrill and its convenient too. Spreads & leverages are good, execution is fast and reliable. They also have variety of trading accounts to choose from. I am using micro account with 1:1000 leverage, no bonus claimed so far though they offer bonuses as well. In my opinion trading is very transparent with them and they are reliable too. This broker is quite decent and genuine, I noticed its name from 2012 and started trading from 2016. It's stable and provide more assets, services than my previous brokers. MT4/MT5 platforms, various account type and payment method. A little slow on live chat support but phone-calling support is swift. Good broker to try. Very good hotforex, trading is easy, they are accommodating and patient. trading through mt4 is done fast, smooth execution and spreads are fine. i made couple of wthdrawals already through skrill and its fast. Trading for the last two years now with 1:400 leverage and the spreads are really very tight. Profts earning ratio s also good and i think it is because of the stable executions. The broker is really recommended in my opinion. Positions are also filled on time without delays, making a good broker for a scalper. There are many currencies to trade and stocks, even with smaller lots which is different from other brokers. Quotes on metatrader are accurate every time I checked with another broker, and I don't think they mess with the markets. very good broker, they even offer seminsars within the region, good initiative aside from free online webinars, they do mean business and thats a good sign. im pleased with how my trades are doing.